Andrey was born in Saratov, in 1990. He studied at Saratov Children’s Music School No.3 (class of Elizaveta Steinfeld, the Honored Cultural Worker), Myaskovsky Moscow Children’s Music School (class of Irina Sytina, the Honored Cultural Worker), and, in 2008, finished the Central Music School of the Tchaikovsky Moscow State Conservatory. In 2013, Andrey graduated from the Moscow Conservatory (class of Irina Bochkova, the People’s Artist of Russia). In 2013, he became a Conservatory postgraduate student in the class of the same mentor. 2006 - 3rd Prize winner at the 3rd International Competition of Young Musicians (Moscow). 2007 - 2nd Prize winner at the Mikhail Yelsky International Contest of String Bow Instruments Performers (Minsk, Belarus). 2012 - 2nd Prize winner at the 6th “DEMYUKS” International Demidov Youth Violin Competition (Yekaterinburg). In 2000, the young musician was awarded a grant of the President of the Russian Federation. 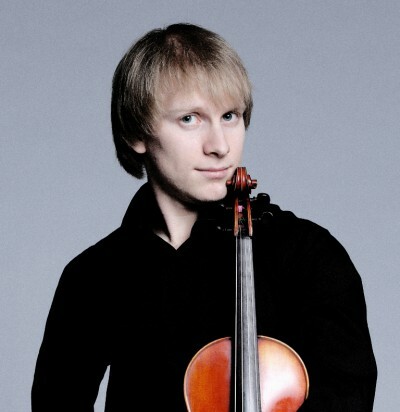 Andrey performs on tour as a soloist and chamber musician in Russia and abroad.